This cute elephant character will lend a helping hoof when it comes to holding the door open for you. 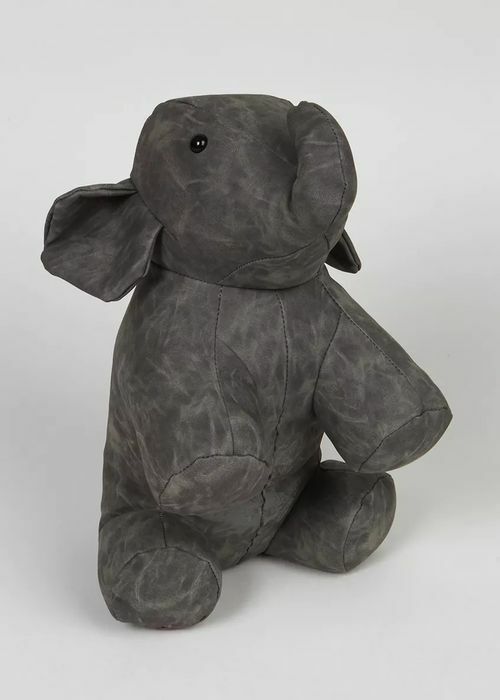 The adorable design is constructed in leather effect fabric for a plush finish. Additional Details Base: 100% Polyester. Coating: 100% Polyurethane. Care Wipe Clean Only. This Is Not A Toy. Free click and collect to store 3-5 days or next day collection is £1.99.